Nothing is more elegant than a decorative serving tray. 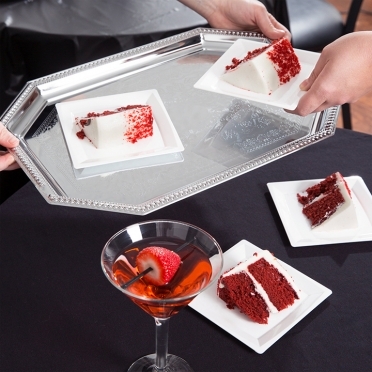 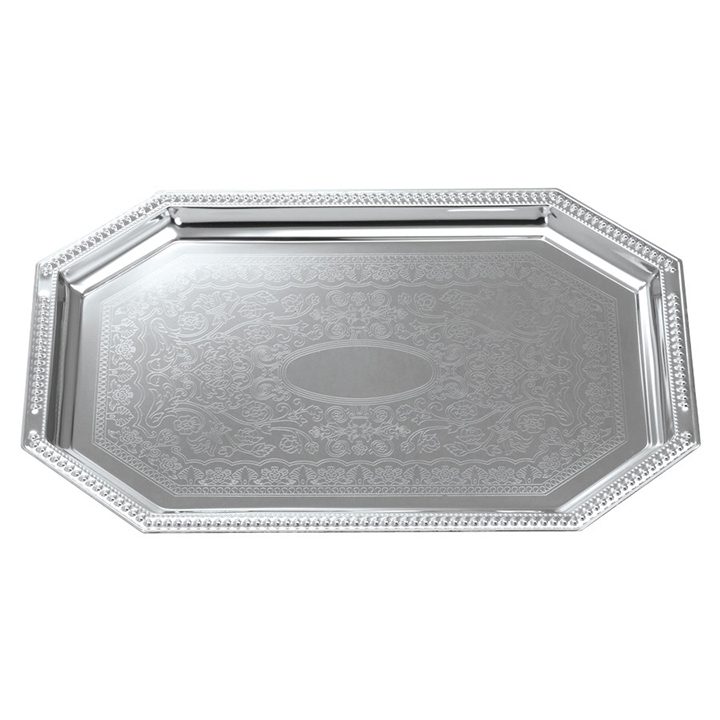 This octagon-shaped tray is the perfect size for serving desserts, beverages, and appetizers. 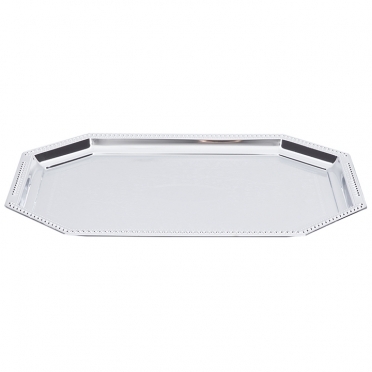 The chrome-plated finish brings a classy feel to your event as well. 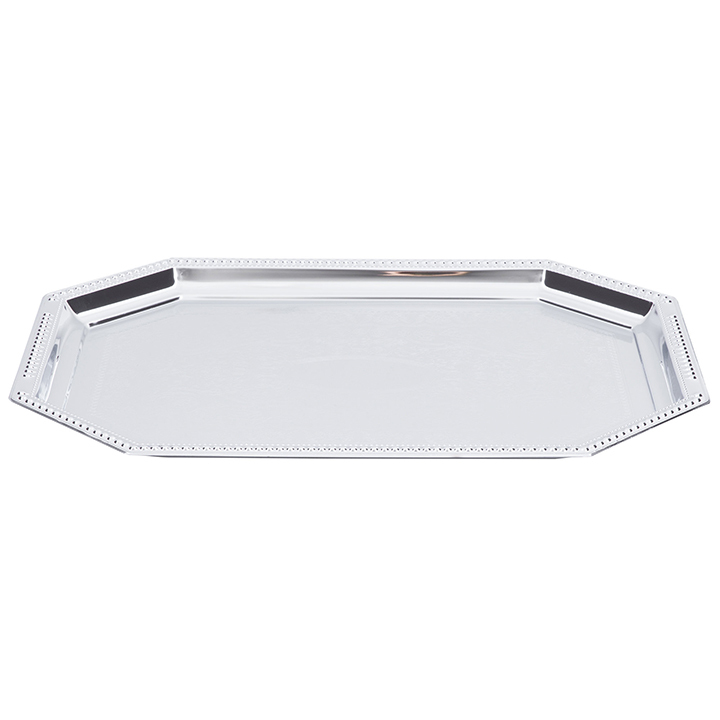 Whether you are planning a wedding, dinner party, or fancy celebration, this tray will complement the decor.